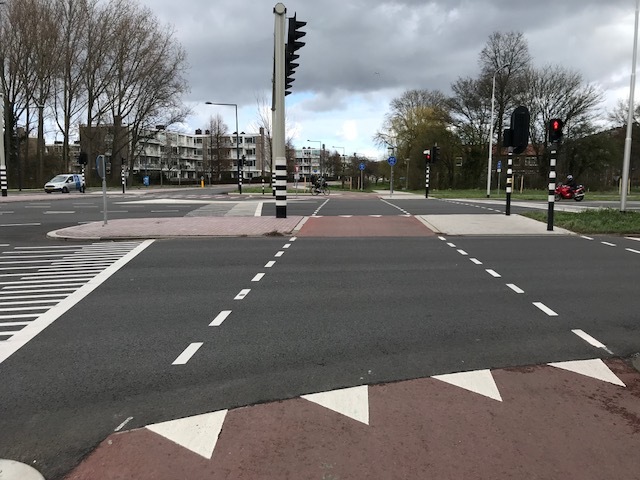 As discussed in earlier blogs regarding design planning, the key design difference in the Dutch method is the separation of bicycling facilities from roadway facilities, as opposed to the US approach of integration of the two modes. Separation allows for less instances of interactions with automobiles, which increase the potential for harm. Separate bicycle paths and cycle tracks were commonplace across the country, but in locations where they were not applicable, a shared roadway approach, with priority to the cyclist, was instead integrated. 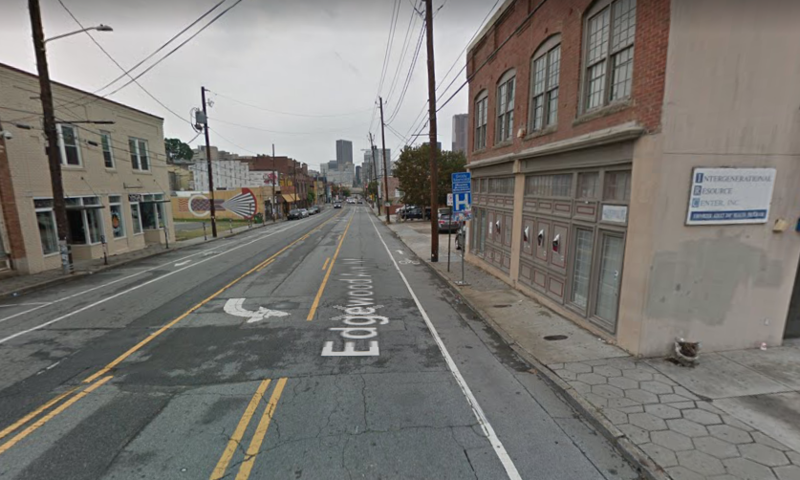 I can imagine how more comfortable I would feel on these shared roadways in the United States, but unfortunately cars very much control the streets of Atlanta. Due to the Netherlands’ location, as well as a low sea level in the majority of the country, the Dutch are highly influenced by what they can do to leave the smallest environmental footprint as possible; even a sea level rise of a few meters would put almost 80% of their country underwater. From an environmental standpoint, bicycling is much more sustainable, as it has lower levels of pollution, higher instances of safety, and more community-oriented and inclusive results. For the Dutch, bicycle design is less of a choice and more of a necessity to maintain their diverse cultural history and characteristics. In a cyclical nature, the design of cycling facilities has also influenced the culture and mannerisms of the Dutch people. For one, the design has caused the Dutch vehicle driver to be massively different than American culture. 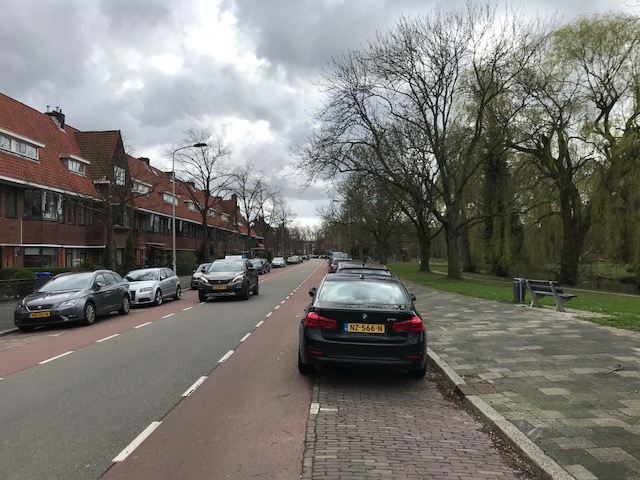 While American drivers are often characterized as stressed, aggressive, angry, and selfish, Dutch drivers act in quite the opposite way, being aware, accommodating, focused, and not distracted; this stems from a fundamental and universal understanding of the infrastructure and user characteristics on it. I experienced this firsthand in many instances, where Dutch drivers yielded to me, waited to pass me, and acknowledged my importance as a legitimate user. Beyond just driver characteristics, the actual design and layout of many Dutch cultural landmarks have even been influenced by design. 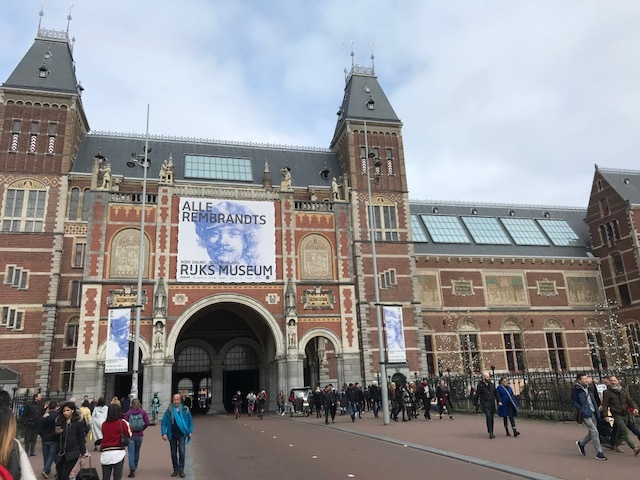 The famous Rijksmuseum in Amsterdam has even added a bicycle path through the actual museum due to the large percentage of bicycle traffic located in the area. 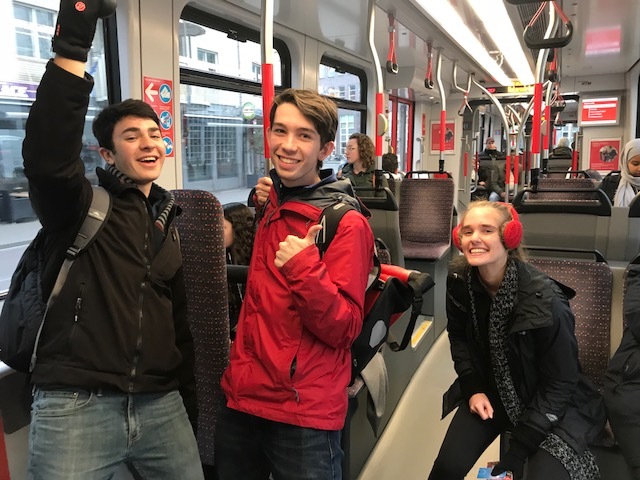 Once again, so glad I was able to participate on the Dutch Transport trip – the lessons I learned will follow me throughout my future career in transportation and planning. 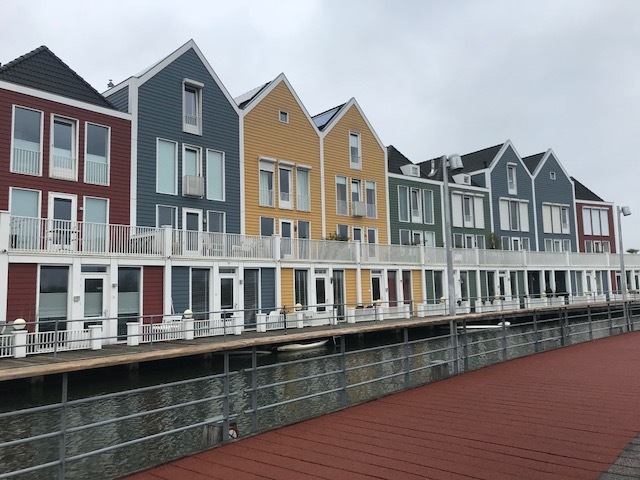 We spent day 5 of our trip in the town of Houten, located in the Utrecht province. 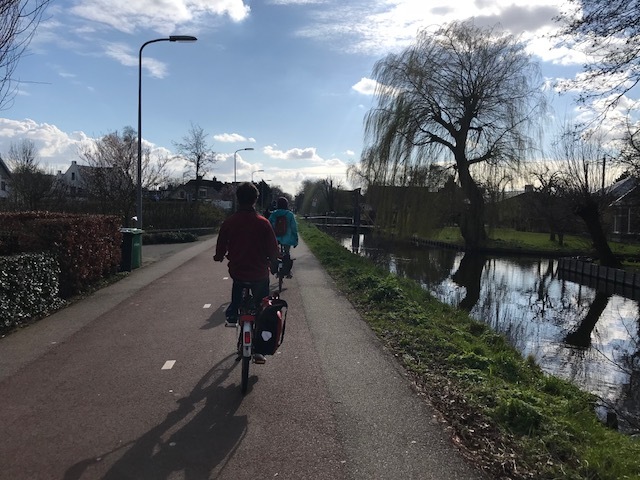 Houten is renowned for its sustainable transportation policies that support cycling and walking over the use of automobiles; as the city expanded in the 1970s, the key focus was to make a more livable and safe city. This was achieved by approaching design and planning with a car free structure, and adding public space like greenery, schools, and water. In the city of Houten, bicycles never have to stop for cars. Houten has two city centers, one in the northern section and one in the southern section, that are known as the hearts of the town. What makes these city centers so important is their connection to railway lines that lead to larger communities like Utrecht. 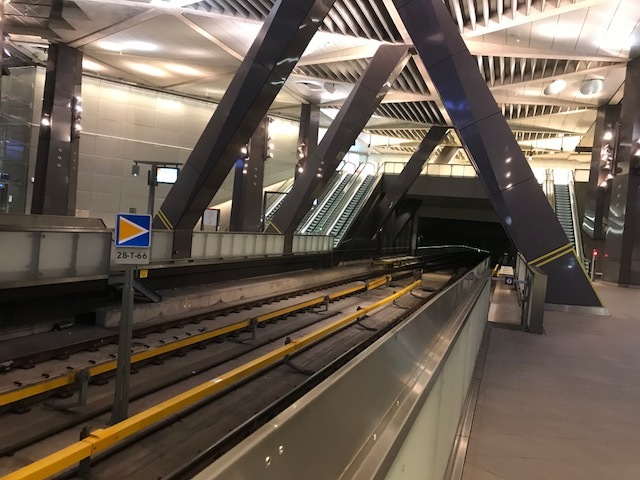 This connectivity to bigger cities even further supports the lack of need for automobiles; this is supported by a top notch Dutch transit system that you will hear more about in the next blog. Surrounding the city centers and intersecting the neighborhoods are green belts that house parks, large open spaces, and waterways. In planning the town, emphasis was placed on the use and availability of public space to replace the larger motorways that were no longer necessary. Not only do the green belts beautify the town and increase public well-being, but they help spread the town density out by running parallel to major cycling tracks; these make the parks easy to access. The cycling routes in the two rings are connected by a series of tunnels that go under the roadway to allow for easy access between town sections. In the middle of Houten is a very unique two level roundabout that features automobiles on the top section and bicycles on the bottom. 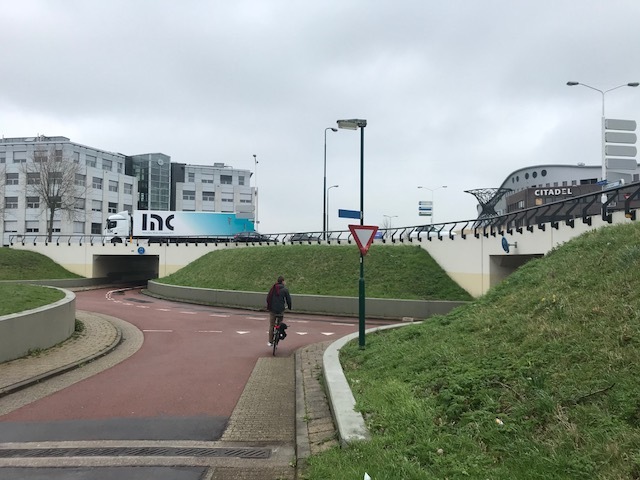 Out of all the roundabouts we have used in the Netherlands, I felt the most safe on this one due to the complete separation of auto and bike; while this design feature is not applicable everywhere, Houten is a shining example of what can be done with the proper design approach. Would this work in the US? Car access through the city: unlike Houten, wherever cycle paths are located, car roadways are also present, running either directly parallel or nearby. 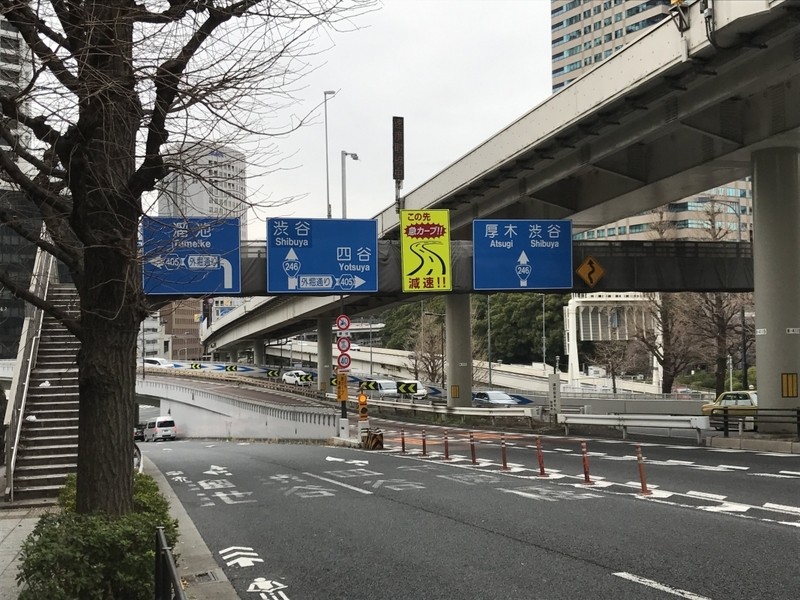 The staged elimination of these car roadways would help increase the amount of cycling through the city; this would have to start off small by possibly closing roads surrounding some of the key hearts to the city. 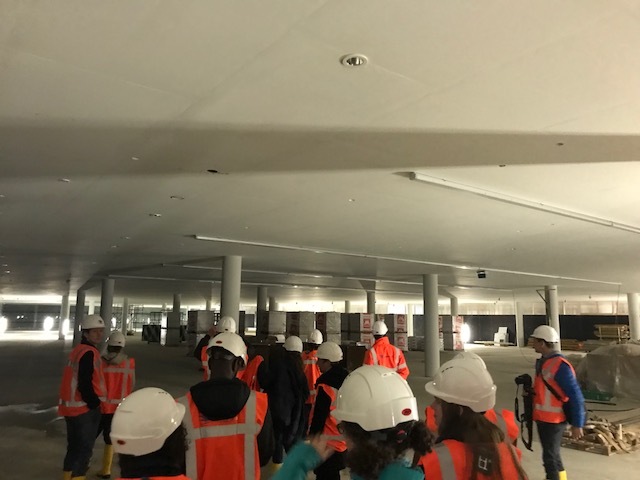 No access to transit: The nearest transit station is 20 miles away, so there is no way for people who live in this community to get to larger cities/locations like Atlanta and the airport. 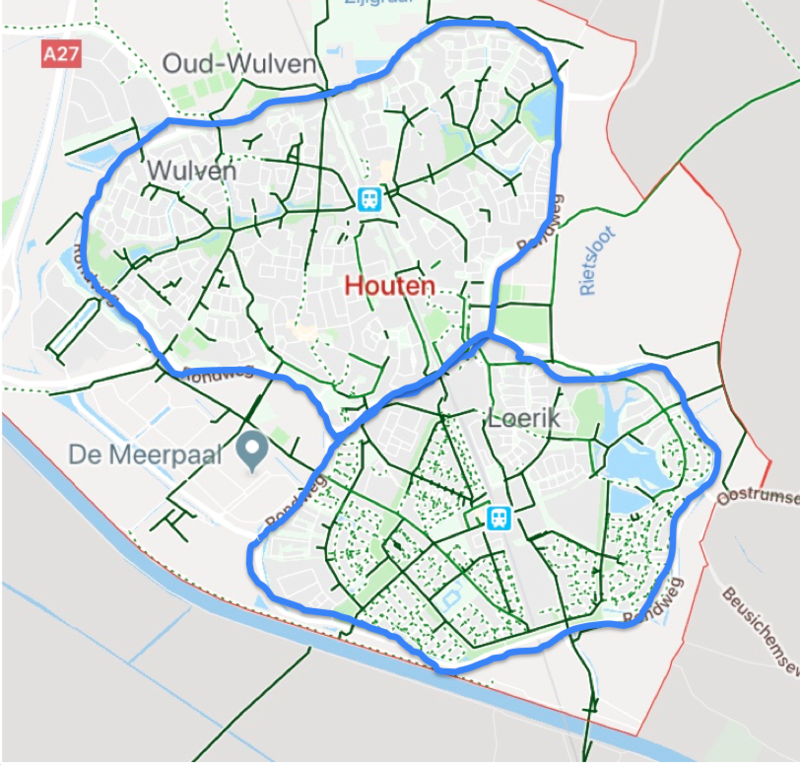 In Houten, 66% of people living in the town work elsewhere, and a similar trend can be seen in Peachtree City; by expanding transit to the center of the city, there would be an increase in interest of biking the shorter distance to the station and taking the train to finish the trip. We have been in the Netherlands for about two and a half days now, and it is amazing to see how much cycling is prioritized and utilized by the Dutch people. This is especially evident in Delft, the town that we are calling home base for the next week. 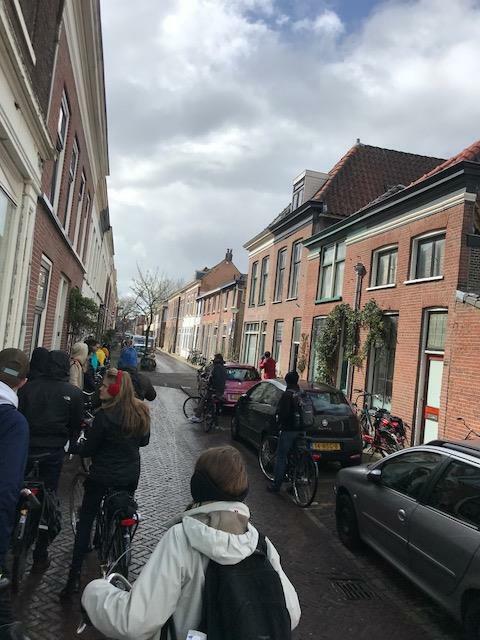 Riding around the city of Delft, it is immediately apparent that every single street has been approached from a cyclist’s perspective; this varies greatly depending on the location. One popular feature is a cycle track, which works especially well in high density traffic areas with higher speeds. The complete separation of bike and roadway users allows each to maintain comfortable speed with a minimum number of interactions with each other; while useful, these tracks require a fair amount of space. Design of roundabouts is especially interesting. Figure 3 shows the roundabout seen at Westlandseweg and Zaagmolen, a heavily used intersection especially for work commutes. While the vehicle section is single lane, the cycle track around it goes in both directions, which allows for less constricted bike flow. Additionally, cars must wait to cross the outer loop to exit the roundabout, giving bikes and pedestrians the right of way. Although cycle tracks and dedicated bike lanes are ideal, they aren't always practical, especially in areas with narrow roadways and previously built-up infrastructure. The Dutch solution is the use of advisory bike lanes, which offer protection through the traffic calming as slowing of vehicles. As seen in Figure 4, bike lanes are added to an already in place roadway, and it is up to the vehicle used to give priority to the cyclist. This is especially effective in this culture, due to their understanding of biking habits. One example of cyclist priorities can be seen at many driveways and small side street intersections. The bike path is raised above the roadway on the curb level, so in order to cross the bike lane, a roadway user must meet the biker at their level. This simultaneously lets the biker know they are in control and the car to wait for the biker to pass. The heavy use of yielding also works great in understanding priorities. The most common method to show yielding is through the sharktoothed arrows shown below in Figure 6. This lets the user know that the crossing street has priority, and are especially common at roundabouts. Biking through downtown Delft, these were especially useful in understanding bike-on-bike intersections, where a smaller bike lane intersects or joins into a larger biking arterial. The most innovative solution is Woonerfs, streets that go beyond just accommodation to cyclists by creating more public and family friendly communities. This is achieved by making the cars do the work - winding streets and extremely low speed limits force the use of cars only when absolutely necessary. Cycling is perceived so differently in the Dutch culture. Instead of being a niche or a hobby, it is a part of the daily lives of all people, young and old. We have seen college students biking to class, parents biking with their children to the grocery store, and business people biking to work. In the Netherlands, cycling is the norm, and it has become this way because of the heavy focus placed on adaptive infrastructure. The cycling share in the Netherlands is a massive 29%, and this is evident by the planning efforts and motions put in place. A central component of the Dutch national policy for infrastructure planning is assuring connection between transport modes and maintaining of safety and culture, all while reducing congestion and environmental impacts (Ministry of Infrastructure and the Environment, 2013). 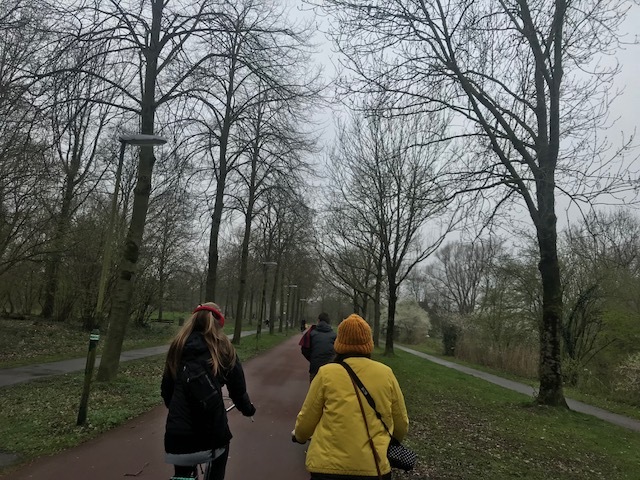 Looking at the actual design, the Dutch favor standalone paths; these are the ideal mode for cyclists, but they are generally restricted to parks, waterways, or areas with enough right of way to support them. 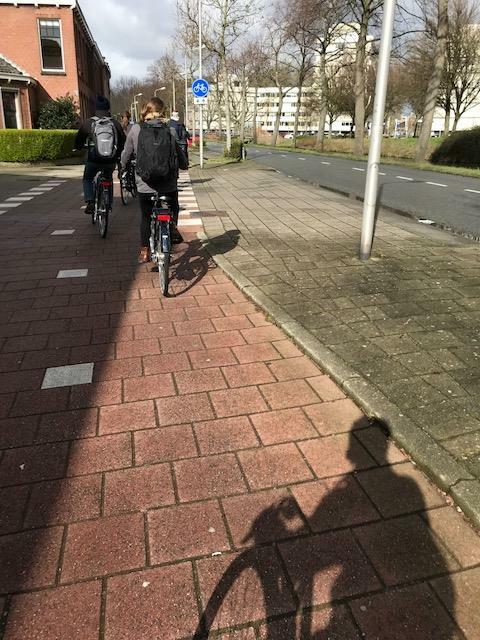 The most common bicycle facility in the Netherlands is cycle tracks, which are separated from main traffic, but still follow the same path as the main roadway. Cycle tracks are enjoyable for users who only have to worry about interactions with vehicles at intersection; even then, the Dutch use signage, driveway conversion, and pocketing to help with this. 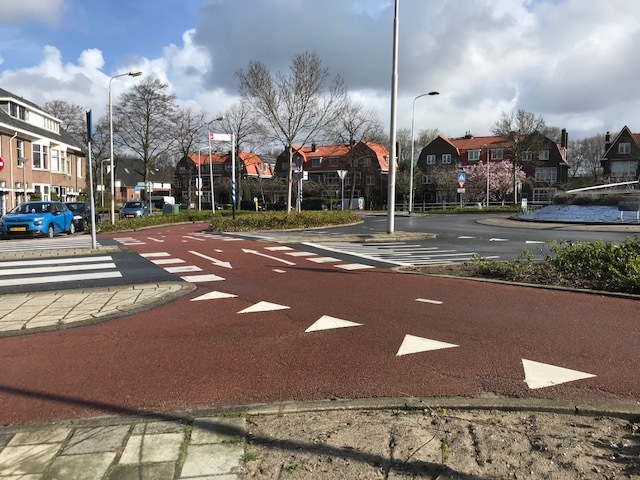 Traffic calming has also become popular, especially in cities like Houten, where vehicular traffic is restricted to an outer rim of the downtown; this not only improves cyclist comfort and mobility, but acts as an incentive for increased cycling. 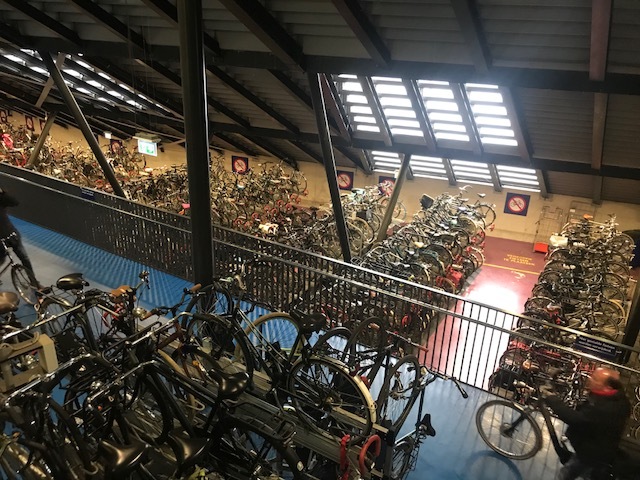 Bike integration with public transportation is also quite notable: quickly looking at the facts, there are 325,000 bike parking stations at train stations, 15,546 bike lockers, and 84,660 spots at full service bike stations in the Netherlands. 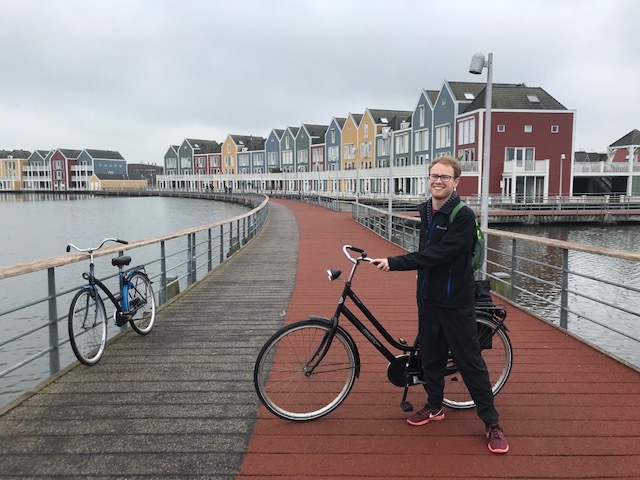 There is a mutual relationship between the two – bicycles support getting to stations, and stations support long bike trips; for many, a daily commute consists of both transportation modes. In fact, 39% of Dutch rail users get to the station by bicycle (Harms & Kansen, 2018). Dutch cycling is extremely inclusive; 56% of cyclists are women, and cyclists under the age of 17 have become a core group in infrastructure design. Education is key – this comes in the form of mandatory bicycle training programs for kids. Growth hasn’t stagnated either; the Dutch have seen an increase in cycling for work and leisure trips, as well as growth in urban areas. Additionally, there has been increased use in both under 30 and over 60 demographics. 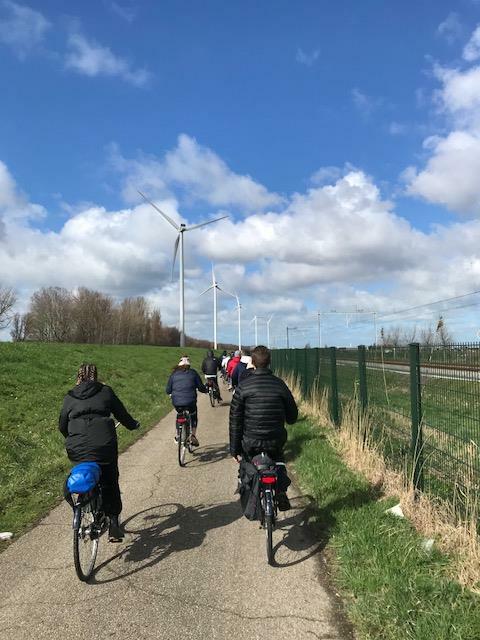 The Dutch believe cycling not only diversifies infrastructure, supports the environment, and saves money, but also actually improves people: their health, happiness, and mobility (Harms & Kansen, 2018). The United States has a much different planning approach to cycling, and there is very little guidance in AASHTO and other design manuals about specific cycling infrastructure requirements. This has resulted in bike infrastructure becoming more of an afterthought in most design aspects, with exceptions in cities such as Davis, Portland, and Washington. Obviously, the diverse geographical and social climate of the US means that cycling is not advantageous everywhere, but there are some clear instances where necessary biking infrastructure must be improved. Where the Dutch thrive with cycle tracks, standalone paths, and traffic calming, the United States prefers methods like bike lanes and sharrows. Bike lanes are effective in distinguishing a clear line between vehicles, however there are many fundamental issues, like right hook conflicts and car doors hitting cyclists. Another popular method is sharrows, which are very easy to add to an existing corridor without much change to vehicle capacity; the problem is the lack of control these arrows offer to cyclists, who are pushed far to the side of the centerline, and have limited ability to influence vehicular behaviors. Looking at public transportation, the US is far behind the Netherlands in bike facilities; only 38,280 spots in the whole United States (compared to the 325,000 in the Netherlands) (Harms & Kansen, 2018). 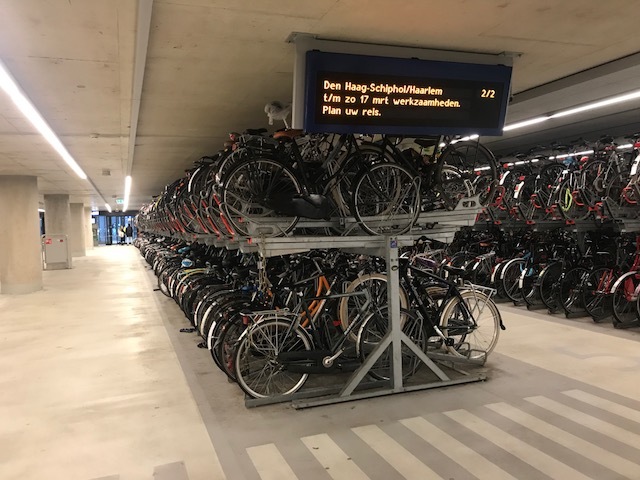 In part, this is due to the large network of transportation facilities already in the Netherlands; most bike routes already connect to stations. The United States has to be more intentional about location, as most cycle paths are not near the stations to begin with. The fundamental difference between cycling in the Netherlands versus the United States is the juxtaposition with road traffic; the Dutch see a “need for separation from fast, heavy traffic” while Americans support “a policy of integrating bikes with traffic” (Pucher & Buehler, 2012). This idea has become the critical juncture in policy planning in the two countries. The Dutch have very strict separation guidelines, based on their bicycle facility selection matrix; bicycling is only mixed with vehicles at low ADTs, and even then, low speed limits are required – full cycle tracks are always favored over simple bicycle lanes (CROW, 2017). Meanwhile, the United States suffers from a lack of criteria regarding bicycle infrastructure – no limit to traffic, speed, or number of lanes. 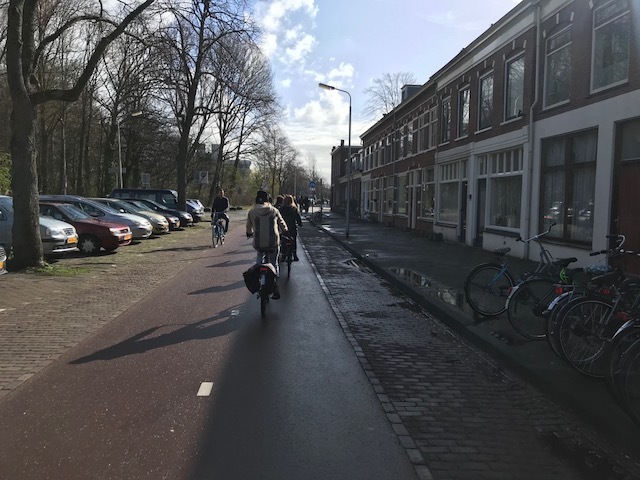 Cycling in the US is regarded as a problem that cannot really be solved, with preference to the vehicular cycling theory as opposed to separated bike paths; the Netherlands proves against this theory. CROW (2017). Design Manual for Bicycle Traffic. Retrieved from https://gatech.instructure.com/courses/71248/files? Pucher, J. & Buehler, R. (2012). City Cycling. Cambridge, Massachusetts: The MIT Press. As a student and future young professional, the aid and assistance of a wiser, more experienced, and advice-giving figure can prove monumental in my growth as an individual. The role of a mentor provides one with a backboard for ideas, goals, questions, and expectations; the main responsibility of a mentor is to engage a young professional in their world, build them up with constructive criticism, encourage in a respectful way, and answer questions and concerns the mentee may have. Although not necessary in many situations, having a mentor is advantageous for both personal and professional growth. In many cases, your mentor has walked in your shoes before and can offer advice on how to handle situations based on their own experiences with similar ones. We as humans seek out validation and comfort – a mentor acts as a positive medium to receive encouragement while growing at the same time. At a bare minimum, a mentor can help set up short- and long-term goals and be a sound board for ideas and thoughts; but at its best, a mentor can change the trajectory and path of a young professional into something far greater than the young professional could achieve alone. Although many young professionals may find the idea of reaching out to a higher up person in an institution or company, it is surprising how open and excited older professionals can be about taking on a mentee. Students should, however, be direct and forward with approaching a potential mentor, appreciative of their generosity with time, and understanding of schedule restraints (University of Washington, 2019). Before asking for a mentor, it is important that you gain a clear understanding of your personal/professional goals, what you would want in a career, and your strengths and weaknesses. Mentors actively want to help you grow as a person, but in order to do this, self-reflection and willingness to open up is necessary. Diversity can also be extremely advantageous; although it may seem easier outright to approach someone similar to you, there can be so much to learn from a different perspective. It can be so surprising finding out how much you actually have in common with someone of a different gender, cultural background, or personality type; this ‘fresh take’ on your life and experiences can be vital to one’s growth as an individual. In the end, the biggest key to an effective experience with a mentor is communication; this has multiple meanings. For one, you should feel comfortable communicating your thoughts, concerns, and questions with your mentor (Washington, 2019). Additionally, the mentor should be a good listener, and return with advice, solace, and their own set of questions. Third, growth in communication through the help of a mentor is momentous; if a mentor can help empower you to communicate your ideas to a larger group, you know they are a keeper. Effective leaders come in a variety of forms and styles, using different techniques and methods to guide a team towards success or defined goal. For example, a tough love leader, who uses a control and grip on power, is no less effective than a charismatic leader, who leads with charm and personality; it all depends on the situation and characteristics of the team. However, certain traits of leadership, that define what make a beneficial principal, can be found in all forms of leaders. One of the traits of a collaborative leader is self-awareness, defined as a “continuous and growing understanding of one’s strengths, weaknesses, emotions, moods, values, attitudes and personality traits” (Vora, 2014). Self-aware leaders have a firm understanding on who they are as a person, what their life goal is, and how their personality effects their interaction with others. This allows these leaders to shift their focus on the individual and gain a grip on the unique, and often complex, characteristics of each team member in their group; leaders who do this will be able to fit better roles based on the strengths and weaknesses of the individual. Additionally, these self-aware leaders understand that they, too, need feedback; feedback is not exclusively for the workers, but also the one in charge. More on feedback next. It is especially important for mentors to give feedback to their pupils in order to ensure they are growing as individuals. The biggest difficulty in feedback is ensuring the person feels valued and significant. Negative feedback is not necessarily a bad thing – it means your mentor is willing to point out what can be improved for your best interest. An effective mentor will focus on behavior over personality and takes in your own point of view (Peterson, 2013). The different ways varying cultures provide and receive criticism is also fascinating and important to comprehend. For example, as an American, I prefer my negative feedback to be wrapped in positive or uplifting compliments on different characteristics; the Dutch, meanwhile, use a much more direct approach and are not afraid to say it straight (Meyer, 2015). No culture is right or wrong, but it is vital to better understand the background of who you are working with and what they really mean. You should not necessarily be offended by the seemingly harsh words of another; similarly, awareness of how your feedback is received should also be accounted for. Although one does not necessarily have to make changes to their feedback style, it is important to at least recognize the consequences. Hello, my name is Conor Hill. I am a fifth year Civil Engineering student at Georgia Tech with a concentration in Transportation Systems. I am from Fayetteville, Georgia, an outer suburb of Atlanta, about 45 minutes from the city. The city itself is very spread out, so really cars are the only way to get around. The nearest metro train station to Atlanta is 20 minutes north of the city, so not accessible for a commute without an equally long driving portion. Additionally, there is no bus system or routes, and very little infrastructure for bicycling to get around. The neighbor city of Peachtree City, where I also spent a lot of time growing up, has a very different transportation layout compared to Fayetteville. The city of Peachtree City was built in the 1950s with the structure of a garden city, consisting of small city centers surrounded by greenbelts/neighborhoods. These city centers are connected by 90 miles of multi-use trails (seen in Figure 1), bringing residents between villages, lakes, and other community features. These multi-use trails heavily used recreationally by users like pedestrians, cyclists, and golf carts. Though it isn’t the primary mode of transportation for business and long-term travel, the multi-use trails help validate that alternate forms of transportation can be integrated into an American community with some success. My family is from Dublin, Ireland, so I generally visit there every few years. In many ways, the traffic situation in Dublin is very similar to Atlanta – they face the issue of extreme congestion during rush hour, with the issue of limited space to expand current roadway capacity. However, Dublin’s approach has been to incentivize the concept of biking to work (called #biketowork), offering travelers into the city tax breaks and free biking equipment. This has simultaneously increased the number of cyclists and decreased automobiles on the roadway; it works so well in Dublin because of the close tight suburbs around the city, as well as the preexistence of biking paths outward from the city center. Additionally, my trips to London and Tokyo completely changed my view on the effectiveness of transit. Studying abroad in London, it was so seamless and easy to get around using the Tube; it was so user friendly, there were station locations everywhere, and the city itself really supported and pushed for proper transit use. Tokyo (Figure 2) furthered my wonder of transit – everything with transit is so effective and efficient. For a non-native speaker, the whole trip revolved around where I could go based on their transit. And the most amazing thing – everybody uses the transit…. literally everyone. Those pictures you see of attendants cramming people into jammed subway cars are 100% accurate and an everyday experience. To be able to incorporate what I learned in the Netherlands to my studies and work in the future. How can I as an engineer use the Dutch approach to make Atlanta better? Gain a better understanding of the relationship between culture and infrastructure. Why does who the Dutch are matter when it comes to what they have done with infrastructure? Who are we as Atlantans and what can we do to cater towards our own niches? Become a more bike-oriented person. I grew up in this great biking community, yet never really took advantage of it and cycled to get around. Hopefully what I learn from this class will better equip me towards the more sustainable method of cycling. Eat interesting food in the Netherlands. Stroopwafel, herring, bitterballen, kibbeling…. the opportunities are endless. The Atlanta cycling tour was an amazing learning experience to prepare for the Netherlands. I was surprised at how comfortable I felt bicycling on the Atlanta roads; I imagined mass chaos trying to weave through traffic on major streets, but was taken aback at the amount of infrastructure already in place that separated cyclists – whether it be the cycling tracks downtown, or the completely bike-friendly Beltline (ironically, I was less comfortable with my actual bike than the paths – shoutout to Liston and Nick for fixing it multiple times on the trip). 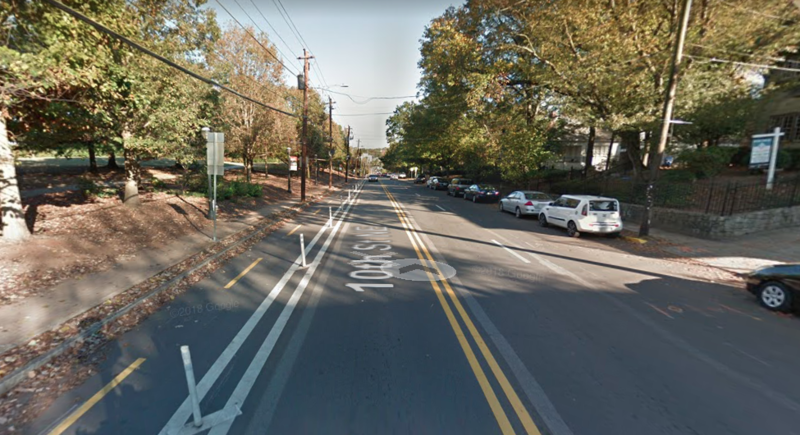 My favorite portion was the cycle track on 10thStreet, seen in Figure 1 – the strategic placement on the Piedmont Park side, integration by lane reduction, and barrier protection all attributed to this. My least favorite section was along Edgewood Avenue, as shown in Figure 2, where the bike lane felt more like an afterthought. It would appear that the automobile lanes were just made more narrow to fit a bike lane, but this offers no protection or real benefits to cyclists. Though I felt fine, I am assuming this is not the case for most. 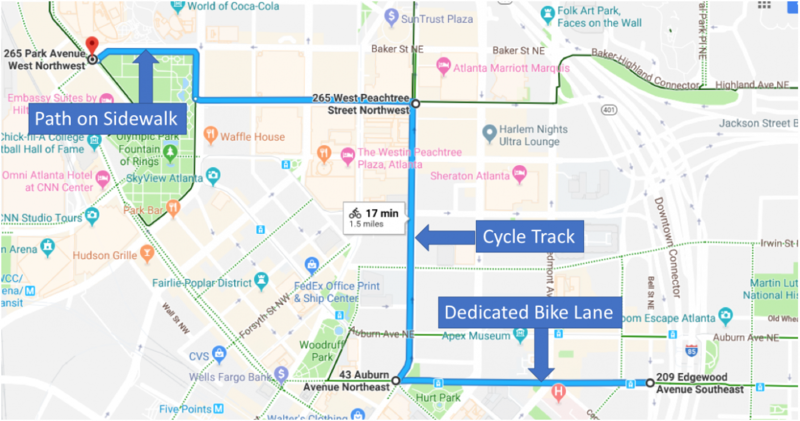 One reason I believe bicycling has not taken off in Atlanta is the lack of uniformity in already present infrastructure – in a short stretch of about 1.5 miles downtown, the infrastructure quickly shifted from dedicated bike lane to cycle track to a trail on sidewalk, then back to dedicated bike lane (seen in Figure 3). I am highly doubtful of my success without the aid from more experienced cyclists in the group who were aware of the changes and how to interact with the different roadway elements. If the infrastructure had a more uniform design, less experienced cyclists would have more confidence in navigating through the city. As the Beltline continues to form and branch out into other paths, I do believe that Atlanta will be able to develop a unique and fluid infrastructure style. Cycling in the Netherlands is a completely different story compared to Atlanta and the US. 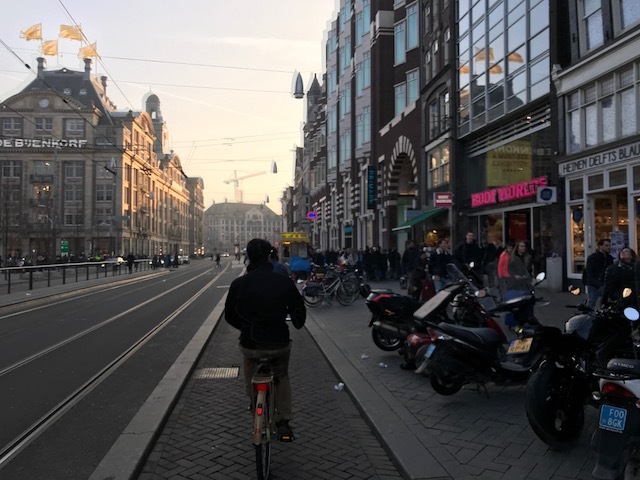 While cycling in America is expressly for the brave and bold, or simply as an activity, Dutch bicycling is for all and means to serve a purpose – to actually get from point A to B. For one, the demographic of cyclists is quite diverse – both young and old, and of very different social types; this is very different than in Atlanta, where there has become a bike-to-work stereotype. Dutch bikers dress in normal/work clothes and this biking is clearly for purpose, not leisure. The style of bike used complements well to the city environment – no speeds, or mountain biking styles – just a simple design that matches the flat terrain of the country (Wagenburr, 2010). In the traditional Dutch intersection, the use of the all green signal timing phase for bikers gives bikers the ability to make left turns without intersecting with the flow of automobiles. This gives motorists incentive to switch to biking – for a shorter waiting time at intersections. Giving cyclists priority over motorists at roundabouts increases safety, and allows for cyclists to get through the roundabout as quickly as possible. I think the space between motor lane and bike lane, where a car can wait out of traffic, is especially intuitive, as it maintains the ease of travel for cyclists without sacrificing the experience for the motorists (Wagenburr, 2014). 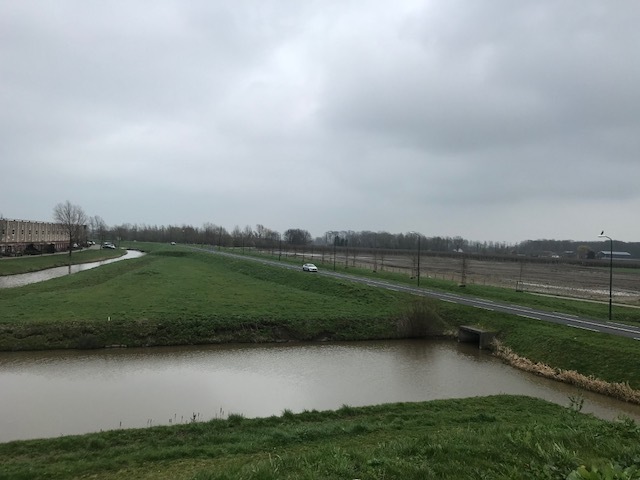 The Dutch terrain is notoriously flat, due to the rich history of dredging in the country. Paired with the fairly mild climate, Dutch cycling is both comfortable and enjoyable. There are many locations in America where city cycling is not evidently practical – more innovative solutions will be required to popularize cycling. The Netherlands and US handled the oil and economic crisis quite differently – while the Dutch seeked out alternate modes of transportation (cycling), the US focused more heavily on automobile usage and efficiency; thus the Dutch developed a more extensive non-automobile network (Wagenburr, 2011). Cycling in the US is not taken seriously, more for fast-paced leisure and sport. This has to do with the culture of the US, being mainly car based, and their inability yet to view biking as an equally efficient mode of transportation, to actually get from point A to B. This lack of seriousness towards biking corresponded to the Dutch narrator’s frustration in the deficiency of proper biking infrastructure. Instead of catering to the needs and requirements of bicyclists, bike lanes in the US generally give the impression that bikers in the US are a secondary class road user, which should not be true. The narrator remained hopeful for the future of US biking, seeing infrastructure improvements like more curbs, bike racks, and bike shops, as well as bike sharing options, that will allow for the greater universality of biking in the US. Beyond infrastructure improvements however, cultural improvements are needed to ensure road users understand that cycling is meant for purpose, much more than just sport (Wagenburr, 2013). Bike-related deaths seemed to not be at the forefront of US news and opinions; the Dutch really valued life and safety in this situation, and for the 1970s, I find this extremely revolutionary (Wagenburr, 2011). 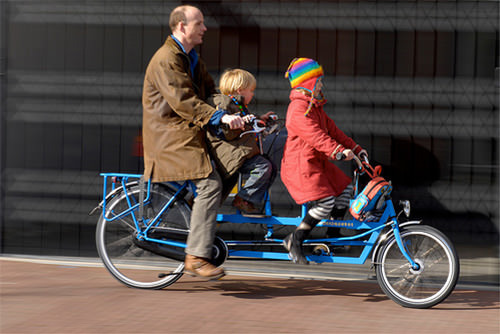 Conversely though, it has been evident in all of the videos that the Dutch do not wear helmets while biking – while this is completely understandable for adults, there is concern for young children. It feels very dangerous not giving them helmets, or some other form of protection; based on their location on the bicycles, if a crash were to occur, the child would be in a zone of particular concern for injury (Wagenburr, 2015).